Gemini Forest Products has been working with the pier and wharf industry for over 30 years. 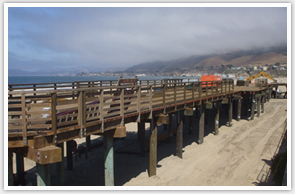 Our lumber products have been used on various piers and wharfs across the West Coast. Through our direct relationship with sawmills and treating plants throughout the United States, we eliminate the middleman to ensure prompt delivery and competitive pricing. We offer delivery by both truck and rail. Gemini Forest Products has been working with the Piers and Wharfs Service Industry for over 30 years, which gives us the knowledge & ability to provide our customers with the most competitive pricing.